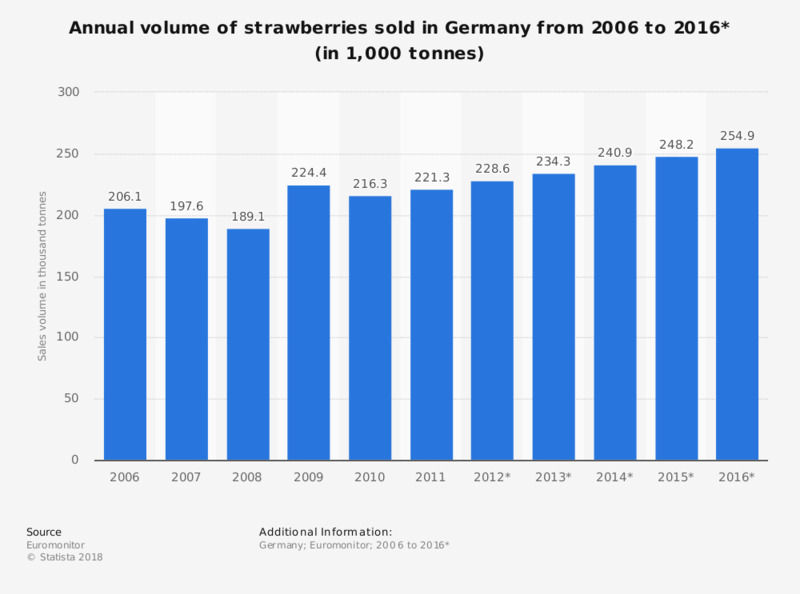 This statistic shows the sales volume of strawberries in Germany from 2006 to 2016. Between 2006 and 2008 the volume of strawberries sold in Germany decreased to 189.1 thousand tonnes, according to historic data. By 2016 the sales volume of strawberries is expected to increase to 254.9 thousand tonnes. * The sales volume from 2012 to 2016 is forecast.